Plateliai (Plotel in Yiddish) lies along the western shore of Lake Plateliai in the Zamut (Zemaitija) region in Western Lithuania, about 50 km. northeast of the district administrative center Kretinga, and is one of the oldest settlements in Zamut. In 1572 it was granted the Magdeburg Rights for self rule and about two hundred years later permission was given to organize fairs twice a year. For many generations the noble Oginsky family ruled in this region. Until 1795 Plotel was included in the Polish-Lithuanian Kingdom. According to the third division of Poland in the same year by the three superpowers of those times, Russia, Prussia and Austria, Lithuania was divided between Russia and Prussia. As most of Lithuania, Plotel became a part of the Russian Empire, first in the Vilna province (Gubernia), and from 1843 in the Kovno Gubernia where it became a county administrative center. This status remained during independent Lithuania, within the district administrative center of Kretinga. The first Jews probably settled in Plotel at the end of the eighteenth century. They made their living in small trade, peddling and fishing in the nearby lake. The main community center was the Beth Midrash. Before World War I fifteen Plotel Jews belonged to the Agudath Yisrael party. From the 1890s many Plotel Jews emigrated to America and South Africa. According to the all-Russian census of 1897, there were then 171 Jews (28%) in Plotel, out of a total population of 611. During World War I, in the summer of 1915, Plotel Jews were exiled deep into Russia by the Russian army. Rabbis who officiated in Plotel till World War I included Shelomoh Shkolnik, who served there for about fifty years from 1870, and Mosheh-Ze�ev HaCohen, who was elected Rabbi in 1911. 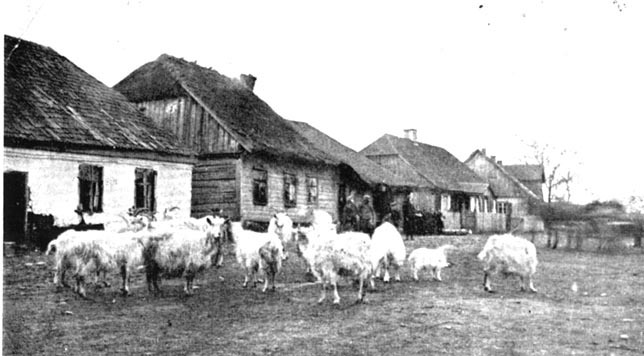 During the period of Independent Lithuania (1918-1940) the economic situation of Plotel's Jews deteriorated. In 1923 a fire burned down almost half of the town�s houses, and as a result their economic situation worsened. 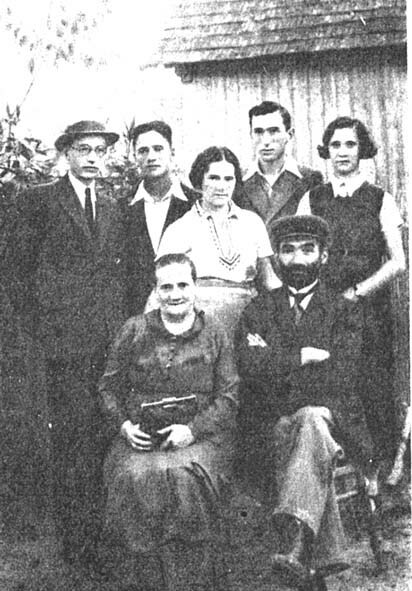 In order to survive the town�s Jews were helped by relatives from abroad and also by working the auxiliary farms, which they cultivated beside their houses. 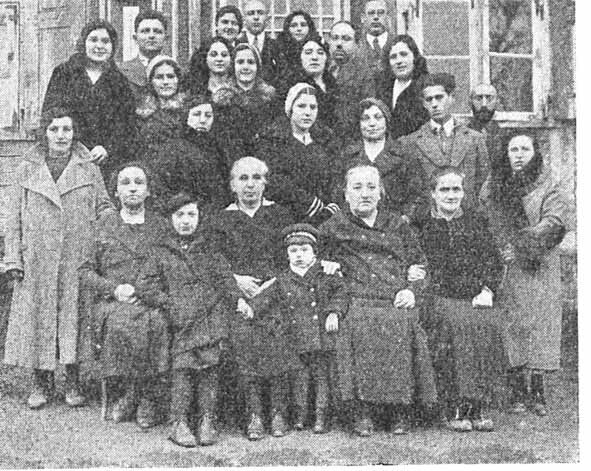 According to the first census conducted by the new Lithuanian government in 1923, Plotel had 645 residents, 150 of them Jews (23%). The government survey of 1931 showed two drapery shops, two flour mills, one iron products and tools shop and one grocery, all Jewish owned. During this period Jewish emigration overseas continued and their numbers in the town decreased. In the summer of 1940 Lithuania was annexed by the Soviet Union and became a Soviet Republic. Following new rules, Jewish mills were nationalized, as were Jewish shops. All Zionist parties and youth organizations were disbanded. At this time about 120 Jews (18 families) lived in the town, its rabbi being Nahum-Lipman Hananya. War broke out between Germany and the USSR on June 22, 1941. A few days later the Germans entered Plotel. 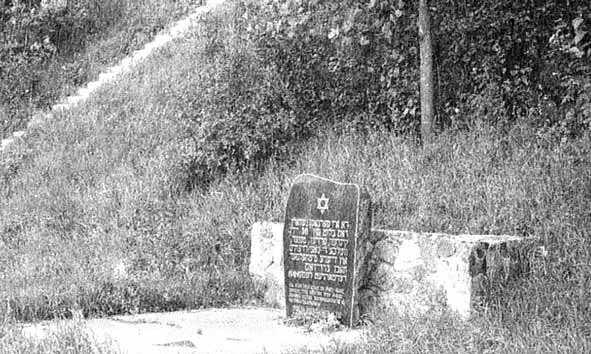 Lithuanian nationalists cooperated with the invaders, participating with the Germans in arresting about thirty Jewish men, who were murdered after several days and buried in sand pits at the foot of Mount Bokstakalnis, about half a kilometer from Plotel, along the road to Salant. The women and children and the elderly, altogether numbering about 90, were left alone in the town for several weeks, but were murdered later in a grove near the village of Laumlenkai, south-east from the lake, about 3 km. from Plotel. 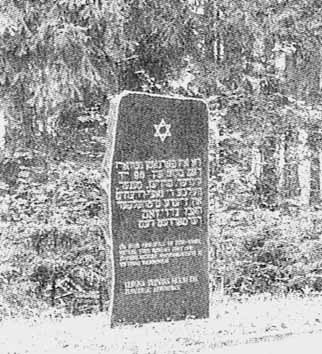 The monument on the mass grave near Laumlenkai with an inscription in Yiddish and Lithuanian: �Here the blood of 90 Jews - children, women and men - was spilled by Nazi murderers and their helpers, who cruelly murdered them.